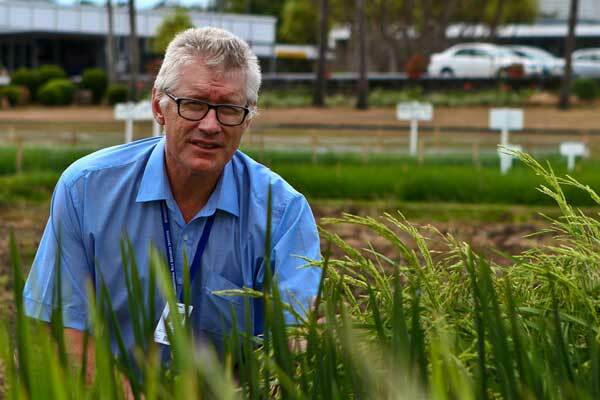 Dr Matthew Morell, Director General of International Rice Research Institute (IRRI) based at Los Banos, Phillipines arrived in Guwahati on Thursday and attended an introductory meeting with the officials of World Bank financed Assam Agribusiness and Rural Transformation (APART) Project. The meeting was organized by Assam Rural Infrastructure and Agricultural Services (ARIAS) Society with Directorate of Agriculture, Assam Agricultural University and International Rice Research Institute. The key officials of Assam Government who remained present in the meeting were M S Manivannan, Director Agriculture, Vinod Seshan, State Project Director, ARIAS Society, Prabin Hazarika, Director (Horticulture and Food Processing) and Director of Research, Assam Agriculture University, Dr A Bhattacharya. From IRRI side, apart from Director General, key officials who remained present were Dr U S Singh, Director, IRRI South Asia Regional Centre (ISARC), Varanasi and Dr Sudhanshu Singh, coordinator South Asia and project leader APART project – IRRI. Director General, IRRI highlighted the innovate-catalyze – transform framework of IRRI wherein IRRI innovates new technologies and utilizes partnerships as a catalyst to transform peoples’ lives. He further went on to say that productive linkages with stakeholder institutions including the private sector can be a promising tool to transform Assam rice farmers’ lives. Such an approach has been successfully tested by IRRI in many countries of the World. Policy development support to Governments is another area in which IRRI has successfully ventured in the recent past. The Director General further stressed on the role of IRRI to address the issue of malnutrition by developing the micronutrient (Zn, Fe) rich varieties, climate resilient stress tolerant varieties, challenges to produce more on less land, the importance of cropping systems approach rather than mono-cropping and suggested that the State should focus building upon its strengths.